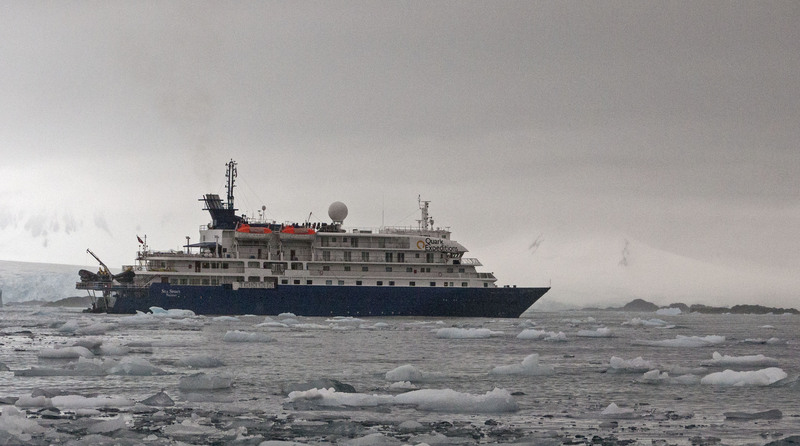 We had arranged to travel to Antarctica on an 11 day trip (that gives 5 days in Antarctica) booked with Quark Expeditions on the ship Sea Spirit. In order to book it we had contacted Daniela at Ushuaia Tourismo (antarctica@ushuaiaturismoevt.com.ar) who was very helpful and responsive. The big day finally arrived but it wasn’t time to board the boat until 4 pm. We had to meet in a car park outside the dock for a very short coach ride to the actual ship. 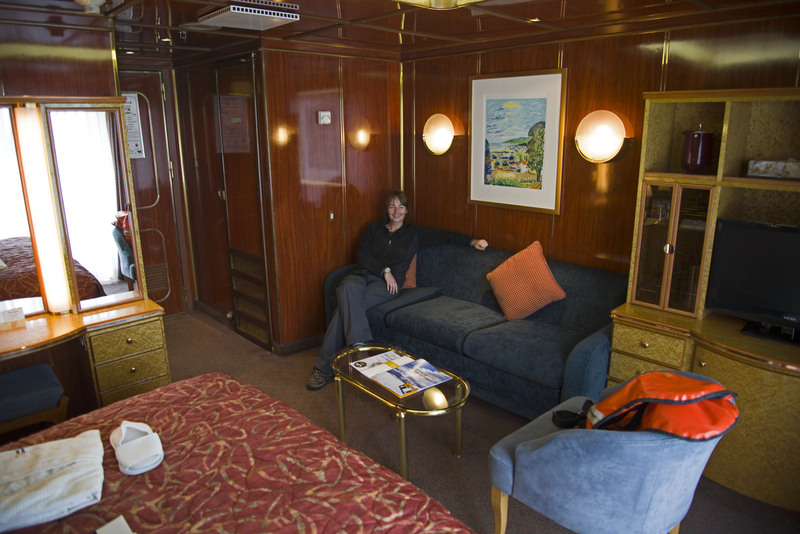 Once on-board we were shown to our cabin by very welcoming staff and had our luggage delivered straight to our cabin. We had been upgraded to deck 5 which meant we had a balcony on our cabin which was very exciting. 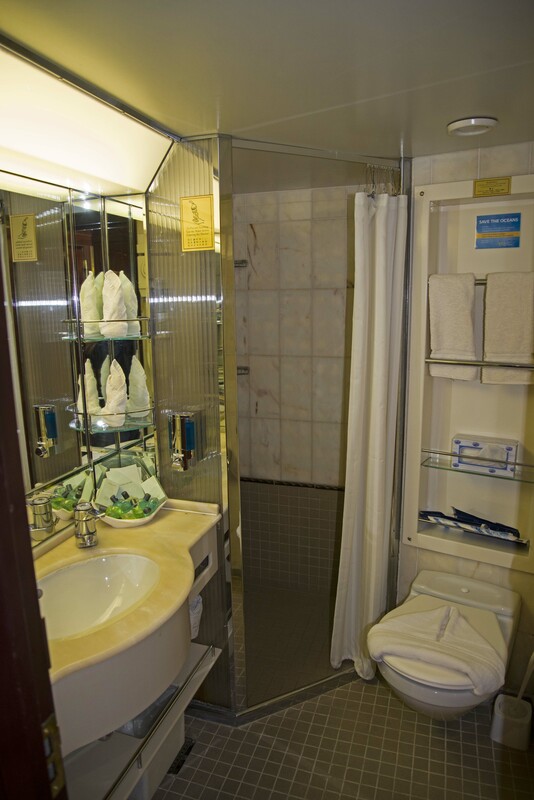 The room itself was pretty big with an en suite bathroom, walk-in wardrobe and even room for a sofa. 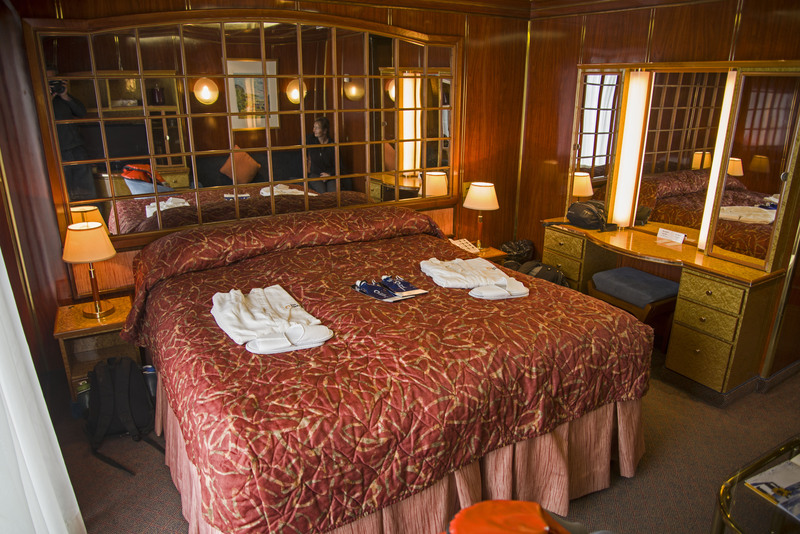 However all the cabins on all 4 accommodation decks were large with en suites and really just the window/balcony varies between floors. The sea spirit is smallish with only capacity for 114 in passengers and this is important because only 100 people are allowed to land at any given location in Antarctica (the kayaking program took 10 people so everyone landed every time). Shortly after getting on-board we had to attend a briefing meeting where we were introduced to the staff and given a full boat safety briefing. Via a mock striptease by two of the crew we were showing what clothes to wear and told that rubber boots and waterproof trousers were required. After this there was a lifeboat drill and then we were fed for the first time and seemingly endlessly from that point forward. Dinner was great setting the trend for our whole time on the boat. A choice of soups followed by a choice of four different main course (and if you didn’t like these you could always order steak, chicken or salmon instead !). Then, of course, a choice of puddings with freshly made ice cream always available. All this great food is coupled with a free bar and free wine at dinner. After dinner on the first night we were all given bright yellow parkas to wear during our shore expeditions (and to keep) and rubber boots for all landings were fitted out. 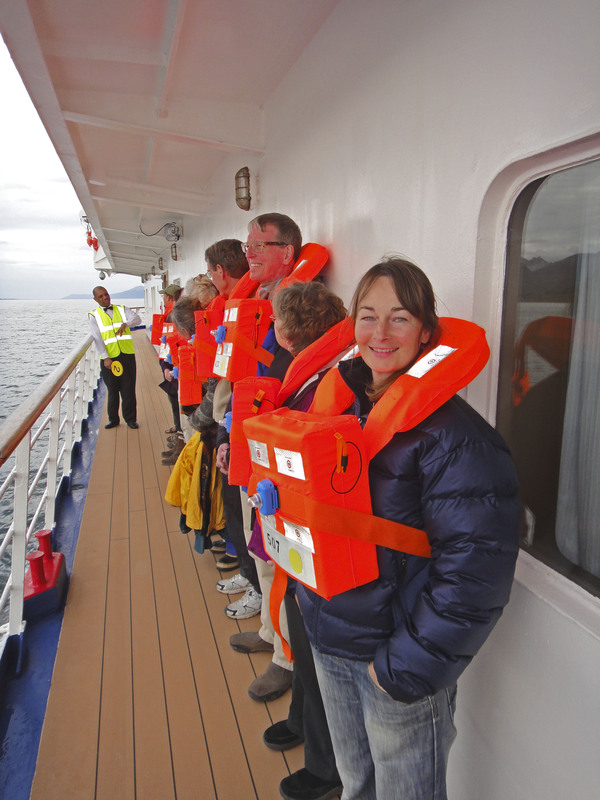 We left dock soon after everyone was on-board and proceeded up the Beagle Channel. 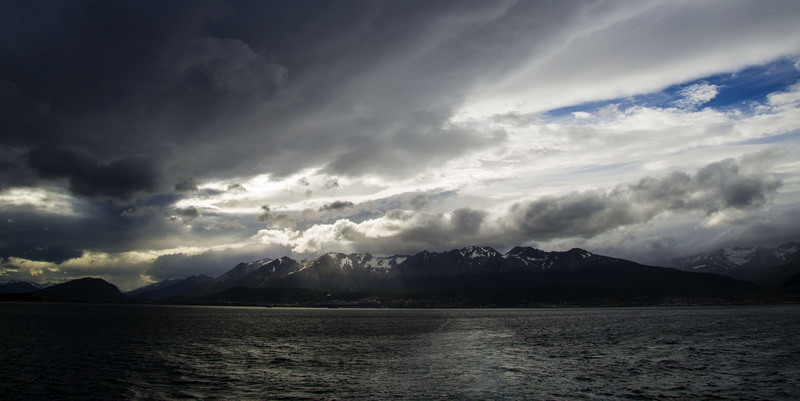 It wasn’t long until we had exited the Beagle Channel and were into the Drake Passage. The Drake Passage (the piece of water between South America and Antarctica) has the reputation as the roughest piece of water in the world. 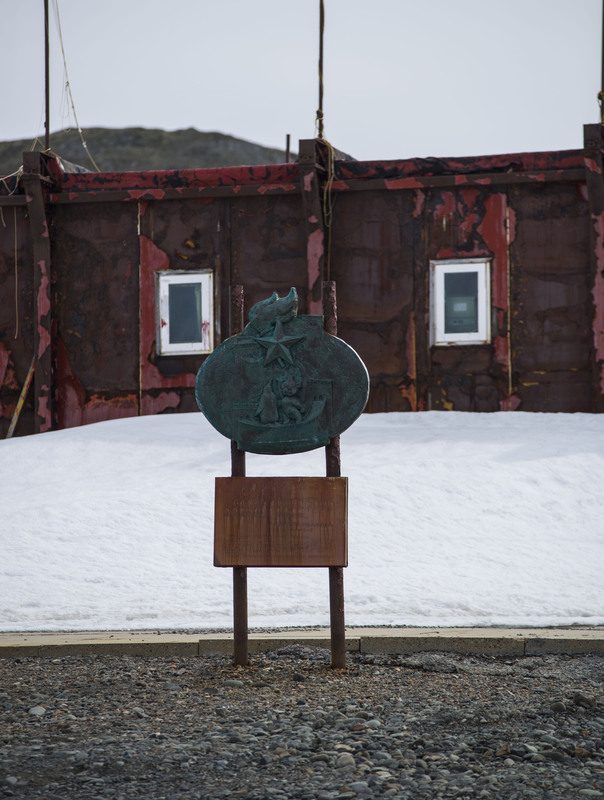 It takes 2 days to cross the Drake to the South Shetland Islands. We were lucky in that we only had swell of around 3-4m for most of the crossing. The final morning it did build to over 4m and almost everybody retired to their cabins. I did make breakfast before succumbing, but there were only 4 other people there. 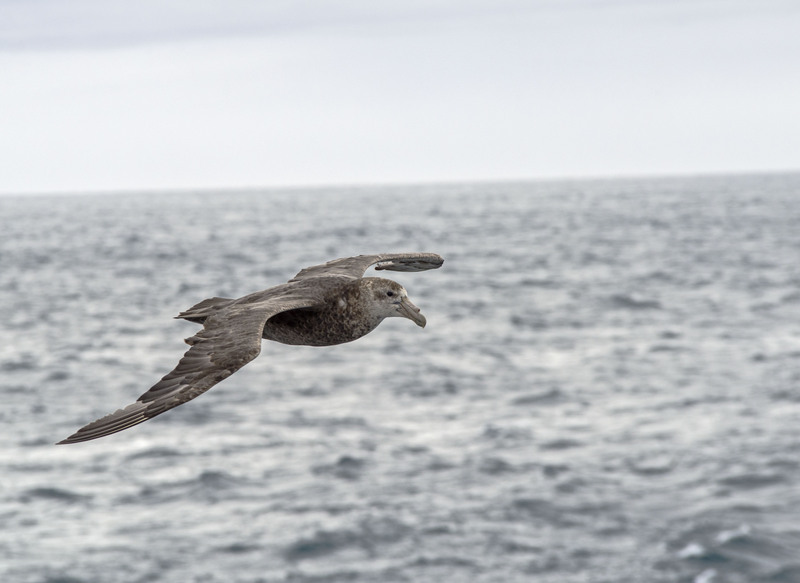 During our crossing of the Drake Passage there were lectures given by the expedition crew giving insight into glaciology, expedition history, marine mammals and sea birds, among others. 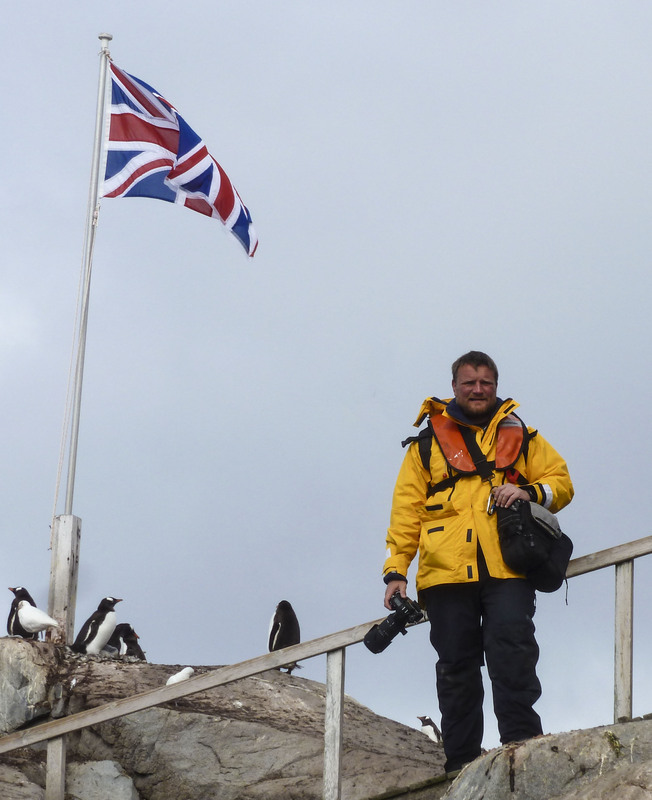 There are 12 expedition crew on board with a range of specialties including ornithologist, marine mammals, glaciology, photography and history. One of the crew even has a Nobel Peace Prize. They were a very impressive group of people. 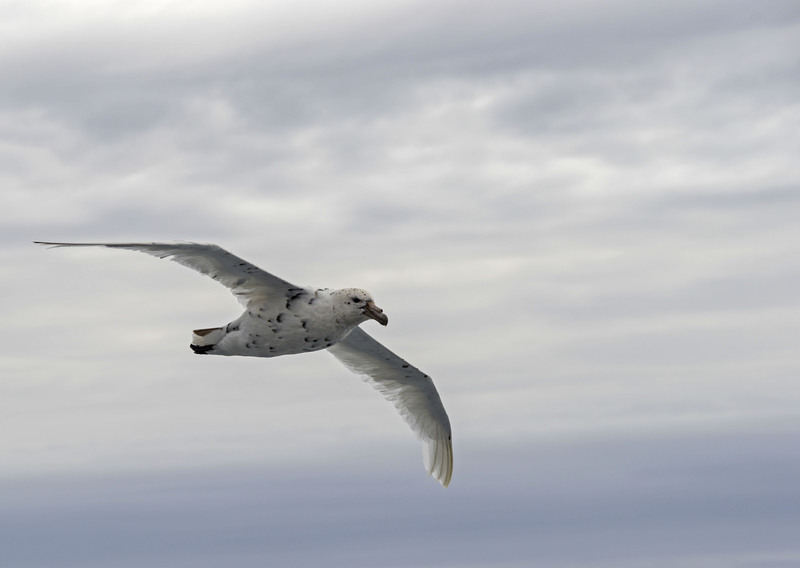 The crossing of the Drake is fairly boring but there are a large number of sea birds that end up following the boat so standing on deck to see the birds can offer some entertainment – if of course sea sickness allows ! 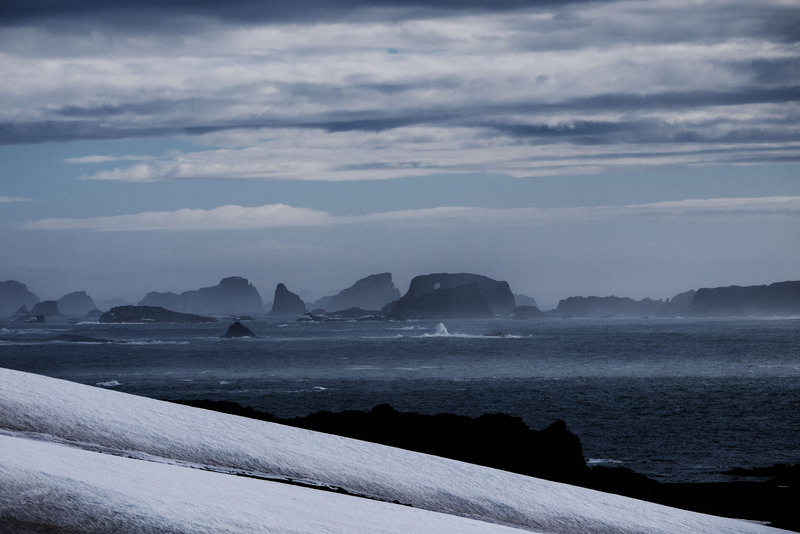 Despite the swell the Sea Spirit made excellent time through the Drake Passage and we arrived at the South Shetland Isles in the late afternoon of our second day at sea. 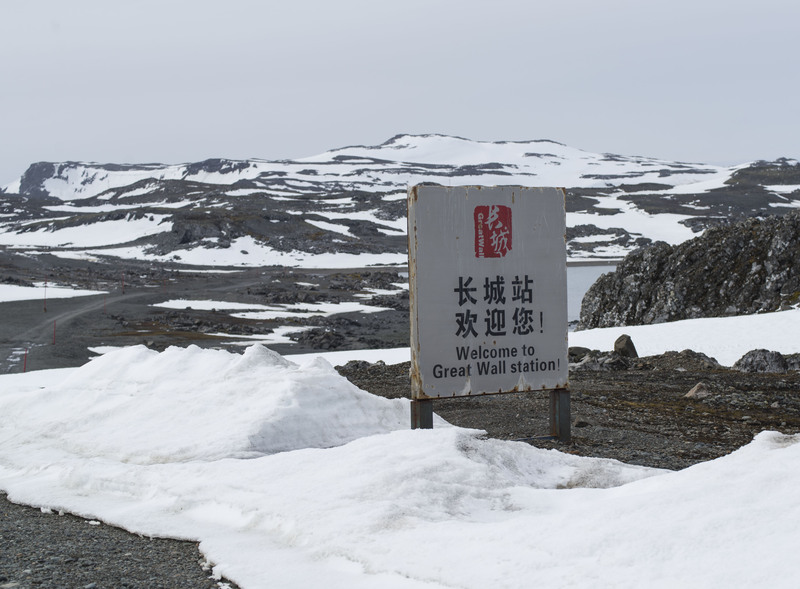 As we had a 25 strong Chinese contingent on board we received permission to land at Maxwell Bay, King George Island, which is the site of a Chinese Antarctic base, called The Great Wall. This was really lucky as a landing on the 2nd sea day is something that never happens. 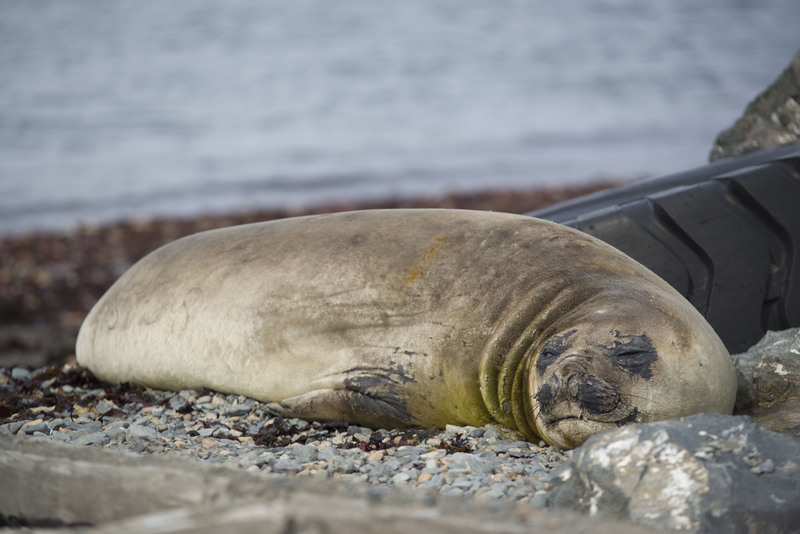 We had a choice of either hiking to an elephant seal wallow or visiting the base so we decided to go for the hike after being cooped up for 2 days in the boat. We landed at the base by Zodiac (our method of transport all week) and immediately set off with a Chinese guide on a hike across the Island. 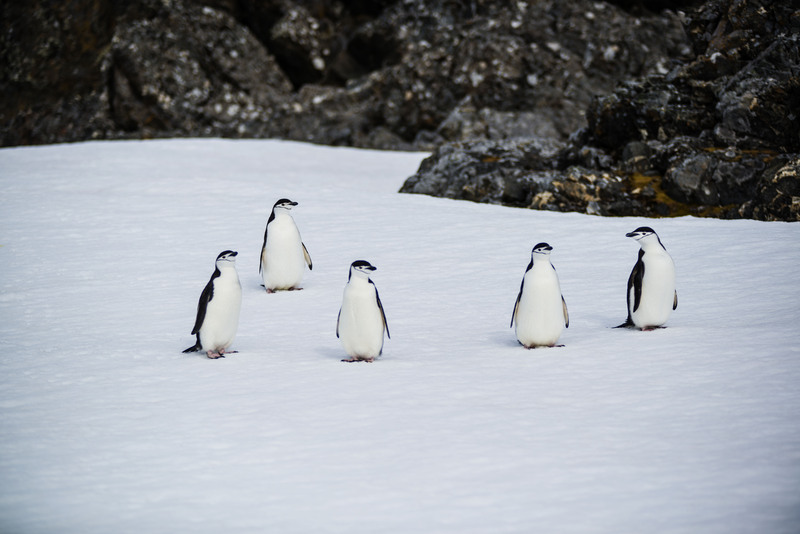 We were very excited when only a few minutes into our hike we saw some penguins on the beach. After only a couple of minutes with the penguins we carried on with the hike moving through deep snow and mud across the island with the Chinese guide setting a hell of a pace. 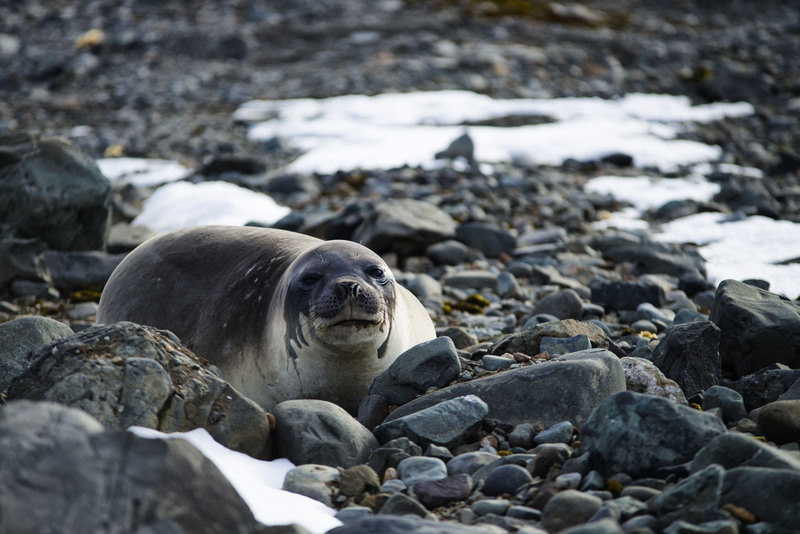 Once across the island we had some spectacular views and could view some molting elephant seals from cliff tops above the beach. 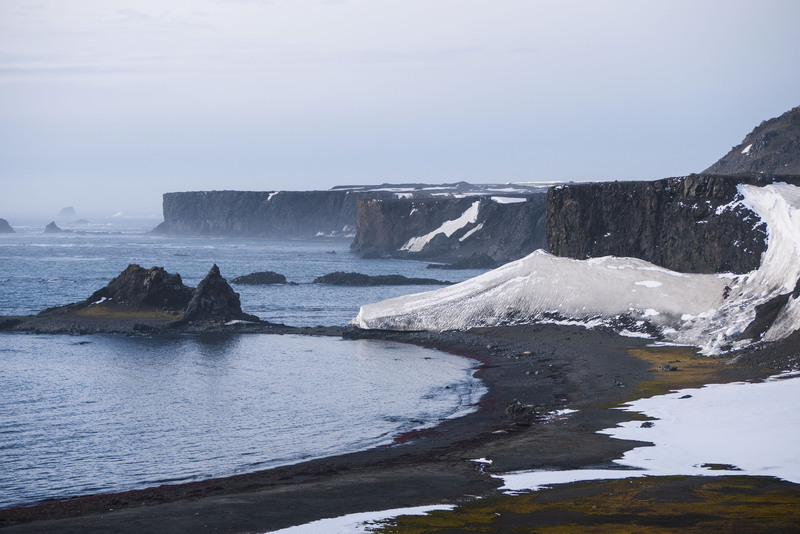 The expedition crew did not let us climb down cliffs to the beach itself as they felt it was unsafe but we had a good view from above. On returning to the landing we discovered a couple of elephant seals right on the beach where we had landed ! So cool! It is now on the bucketlist! Maybe in April 2014?? April is too late. The season really runs from November (too early really because of the ice) until March (too late because winter is coming). Its amazing though so seriously try to work it in.